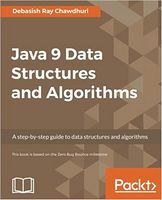 Java 9 Data Structures and Algorithms covers classical, functional, and reactive data structures, giving you the ability to understand computational complexity, solve problems, and write efficient code. 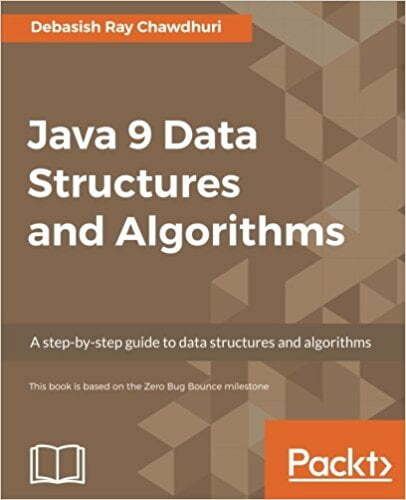 This book is based on the Zero Bug Bounce milestone of Java 9. We start off with the basics of algorithms and data structures, helping you understand the fundamentals and measure complexity. From here, we introduce you to concepts such as arrays, linked lists, as well as abstract data types such as stacks and queues. Next, we’ll take you through the basics of functional programming while making sure you get used to thinking recursively. We provide plenty of examples along the way to help you understand each concept. You will get the also get a clear picture of reactive programming, binary searches, sorting, search trees, undirected graphs, and a whole lot more! Debasish Ray Chawdhuri is an established Java developer and has been in the industry for the last 8 years. He has developed several systems, right from CRUD applications to programming languages and big data processing systems. He had provided the first implementation of extensible business reporting language specification, and a product around it, for the verification of company financial data for the Government of India while he was employed at Tata Consultancy Services Ltd. In Talentica Software Pvt. Ltd., he implemented a domain-specific programming language to easily implement complex data aggregation computation that would compile to Java bytecode. Currently, he is leading a team developing a new high-performance structured data storage framework to be processed by Spark. The framework is named Hungry Hippos and will be open sourced very soon. He also blogs at http://www.geekyarticles.com/ about Java and other computer science-related topics. He has worked for Tata Consultancy Services Ltd., Oracle India Pvt. Ltd., and Talentica Software Pvt. Ltd.